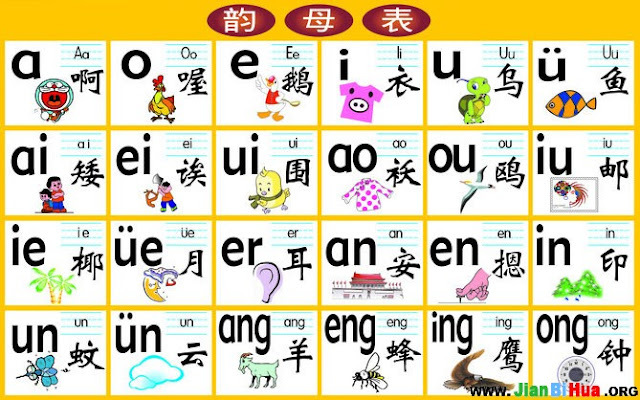 For most of us, our Mother Tongue is Chinese and it is supposed to be a widely used language in Singapore. However in reality, most of us converse mostly in English to our family and friends, we rarely need to read or write Chinese in our every day life unless our work requires us to do so. As such, most of us do not know how to read or write Chinese well enough. 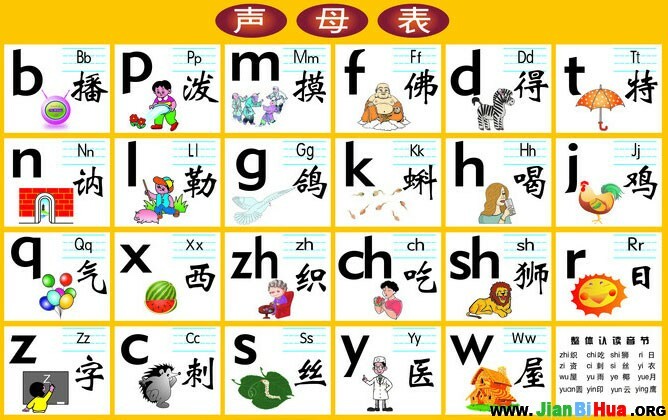 Along comes HanYuPinYin or HYPY which is suppose to make us recognize Chinese character easily by using Romanization method but instead it proves to be a challenge for some who are finding difficulties in mastering it. 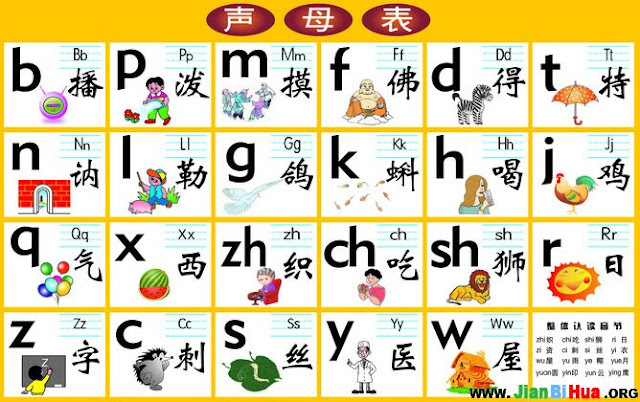 With the parents struggling with Chinese language and HYPY, it is going to be a bigger challenge when we have to coach our children. It does not help when the Primary One Chinese are taught HYPY first before the Chinese character. I can proudly proclaims that my Chinese and HYPY are good since I am an avid Chinese books reader, plus during my course of work for the past decade I am always speaking Chinese and writing or rather typing out the Chinese characters using HYPY. However, knowing the language is one thing, try teaching it to my 7 year old and I'm sure temper will rise. Therefore I readily signed up for the HYPY workshop conducted by DinoBoy's primary school in February 2013 and did not regret it. I have learned a few methods on trying to engage him to be more interested in HYPY and ways to reinforced the teaching in school. I am glad to share it with all of you here and hope it will help you too. - For the Initials 声母, there are Retroflex 翘舌音(舌尖后音) & Alveola 平舌音(舌尖前音), Aspirated 送气音 & Unaspirated 不送气音 sound. - For the Finals 韵母, there are Alveolar nasal (before nasal) 前鼻音 & Velar nasal (after nasal) 后鼻音 sound. Sounds complicated? Not really, once you grasped the concept and pronunciation you will soon be able to read it with ease. 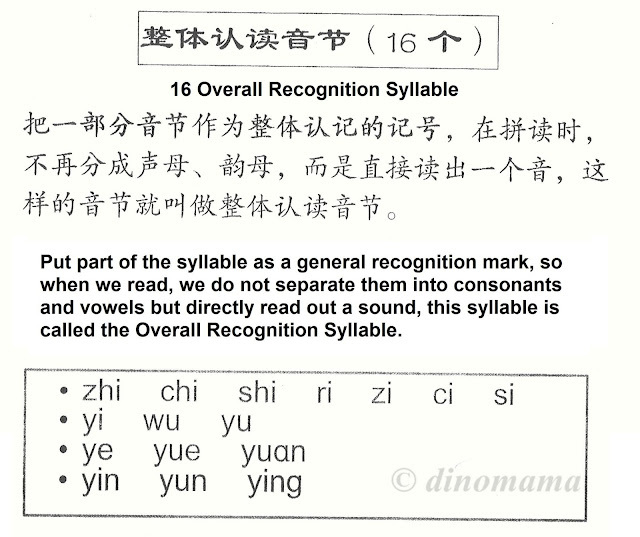 How do you help your child to pronounce the Initials 声母 and Finals 韵母 correctly & confidently? We will go into details in my next post. 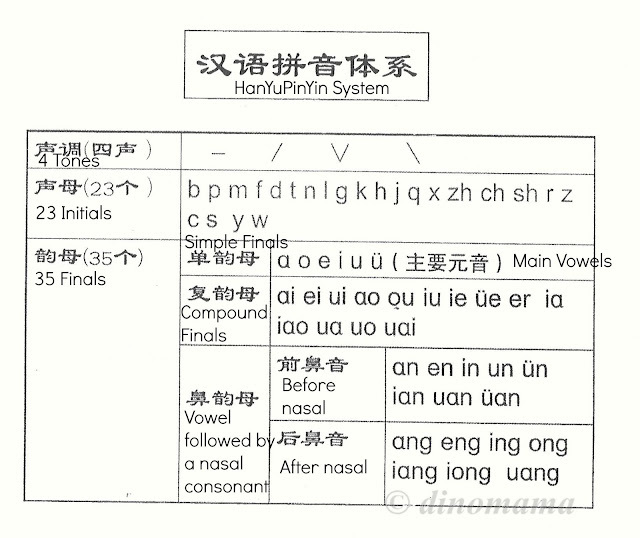 In the mean time, take a look at the following tables giving clear illustrations on how to pronounce the Initials 声母 and Finals 韵母. Still unsure? Don't frown and give up yet! 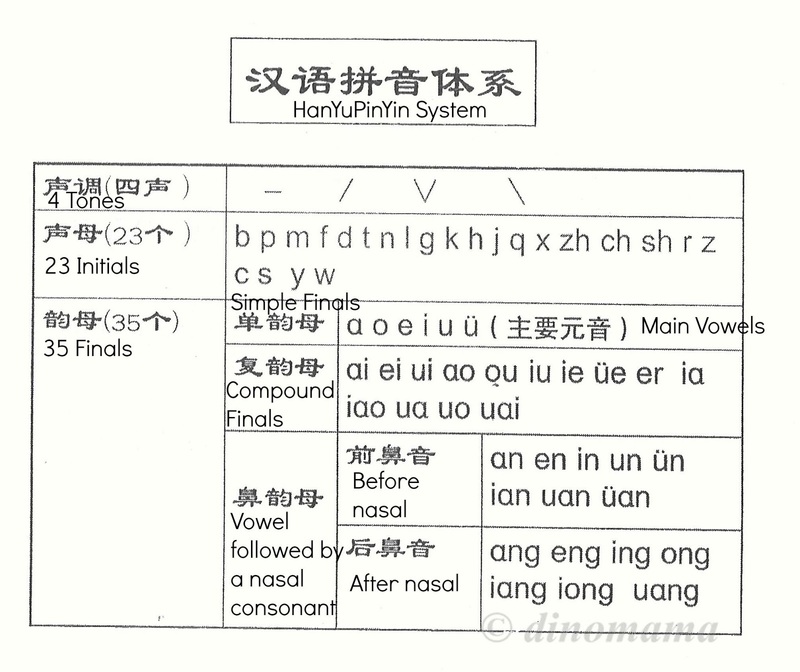 Hop by to this website to listen to the sounds of Initials 声母 and Finals 韵母. My K1 is already learning 声母 + 韵母！He likes it a lot, thanks to their very good teacher at the childcare :-) Not only this, I am learning many things from his homework, like I didn't know I have been writing some of the words wrongly all these years (and I always says that my Chinese is excellent, bleah). Curious to know what words your have been writing them wrong, care to share? HYPY is actually very fun for K1 & K2 as the teacher uses quirky rhythms to teach them. Alicia, no worry I will share how to properly pronounce the initials with diagram in my next post. Later I will share where to put the tonation mark too. hur hur hur, yes! I need all the help I can get! Wow. 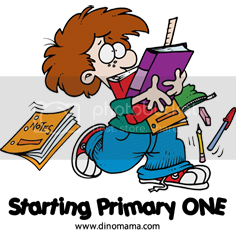 And I thought reading and writing English was complicated!